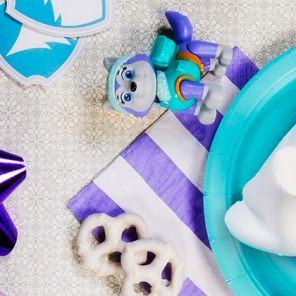 These last-minute quick tricks will make your kid’s Nick Jr. party an instant hit! Uh oh. Your little one’s birthday is just ONE week away and you may have dropped the ball on the planning front. 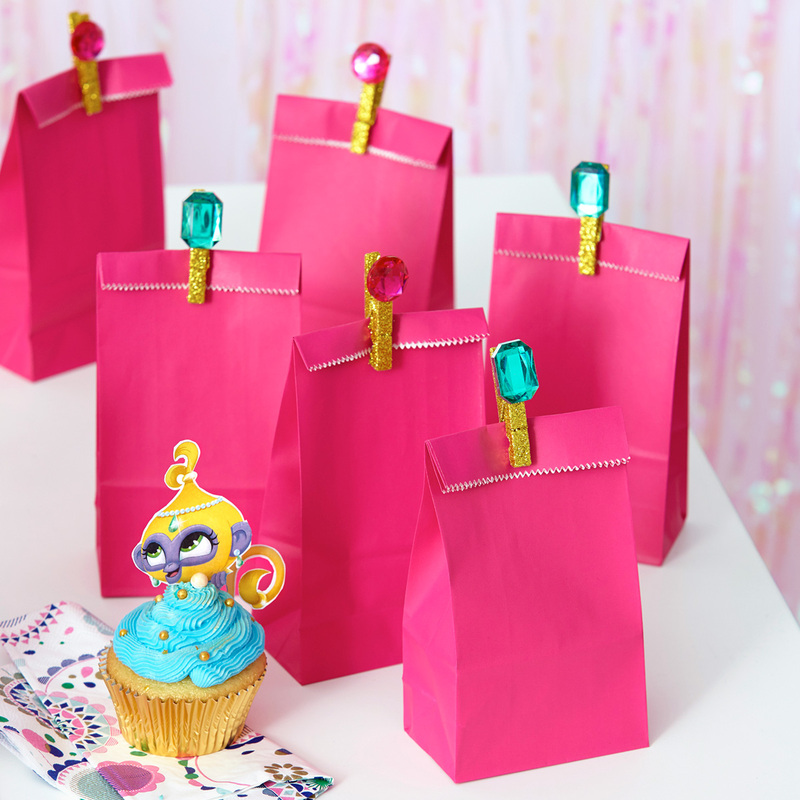 Have no fear—these hacks will help you assemble a full-fledged birthday party in no time that will leave the other parents wondering how you pulled it off! 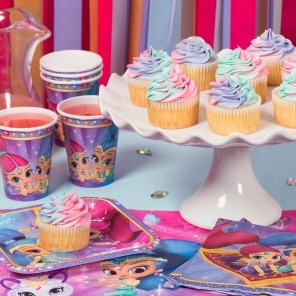 Want to leave a mark on your little one’s birthday party? 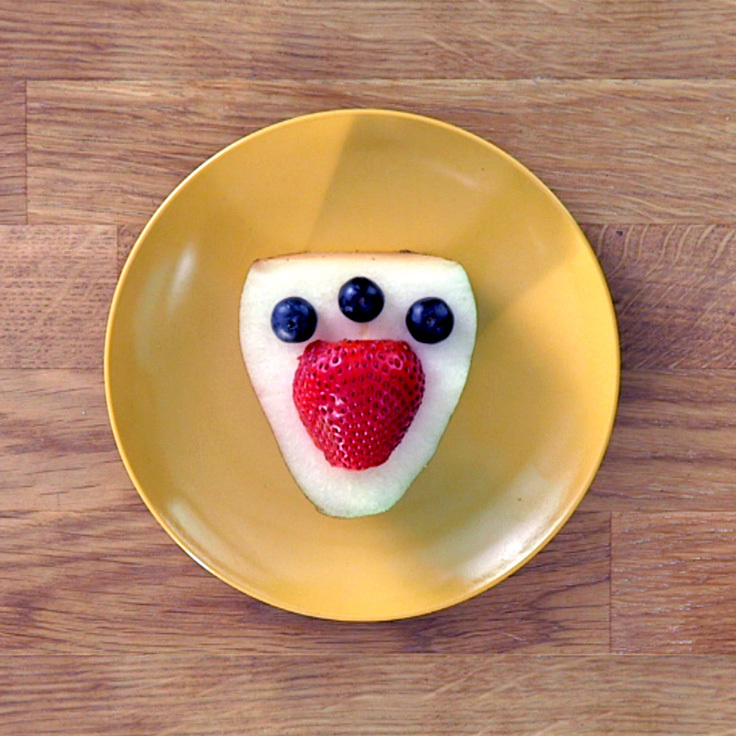 Use different-size marshmallows to make a pup-tastic PAW print! 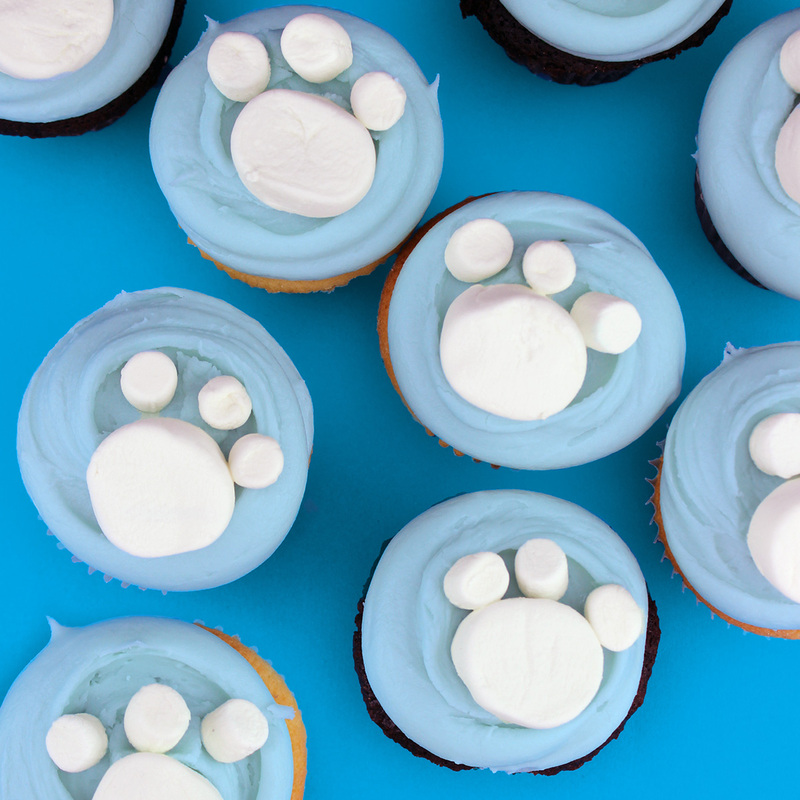 Simply assemble the paw print atop any iced cake or cupcake! Clothespins get a makeover with these goody bag stoppers. Made with glitter and gems, they’ll leave your party guests dazzled. 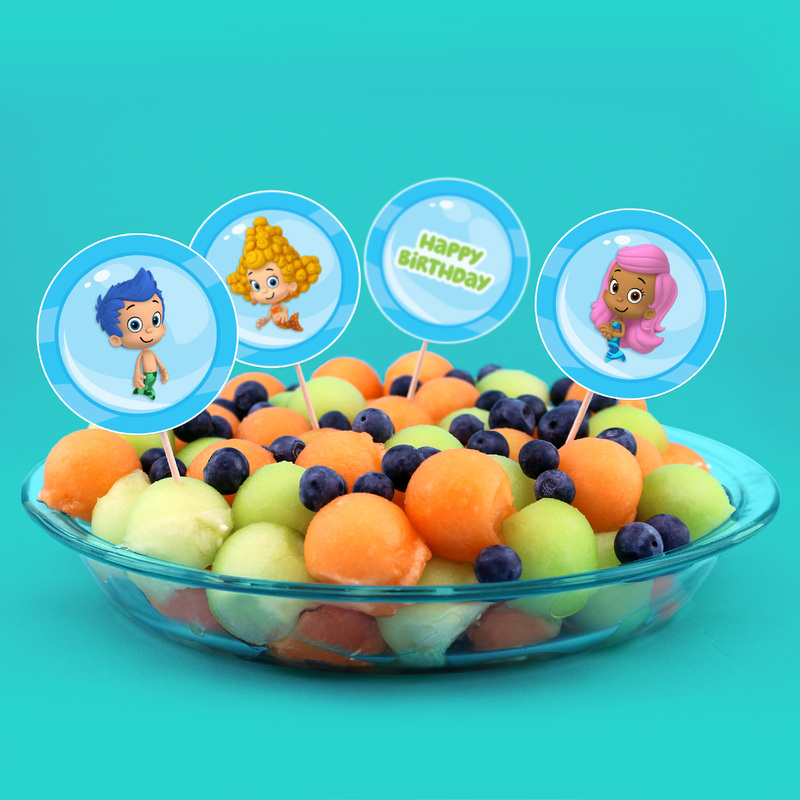 Make a splash at your kid’s party with these healthy, bubble-shaped snacks! Using a spoon, ice-cream scooper or melon baller, carve out little fruit bubbles for the whole school of fish to snack on. Watermelon, honeydew, and cantaloupe are the easiest fruits to scoop out. 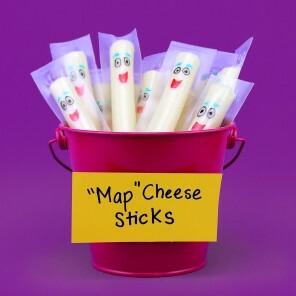 Make Map’s presence known in your Dora party spread. 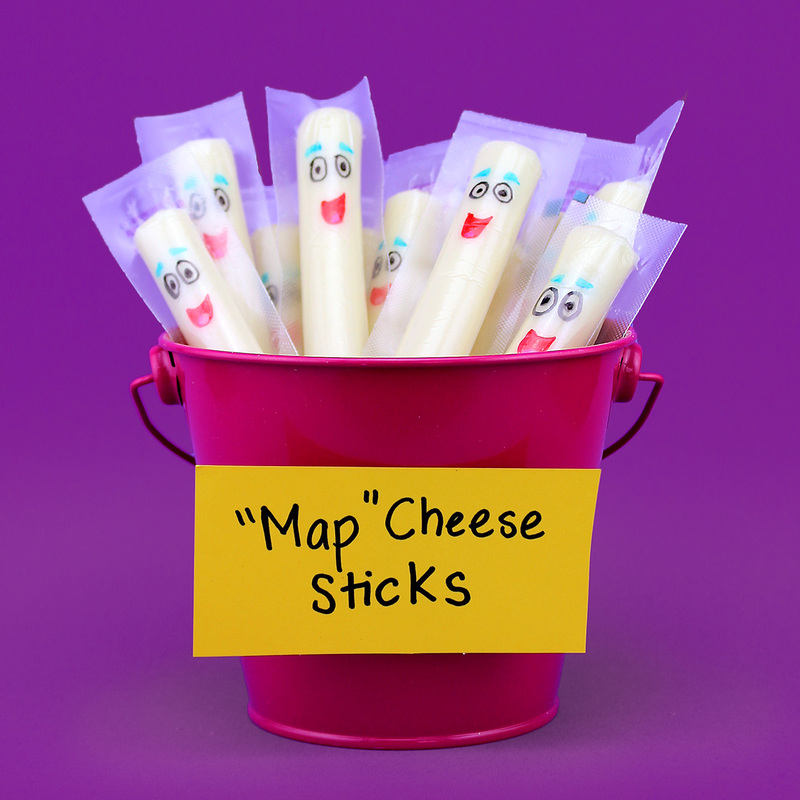 Transform ordinary string cheese into the Map with colored markers and some imagination! This quick fix is cheesy—the good kind of cheesy. You’ll be blazing into action with this super easy and fun edible decoration! 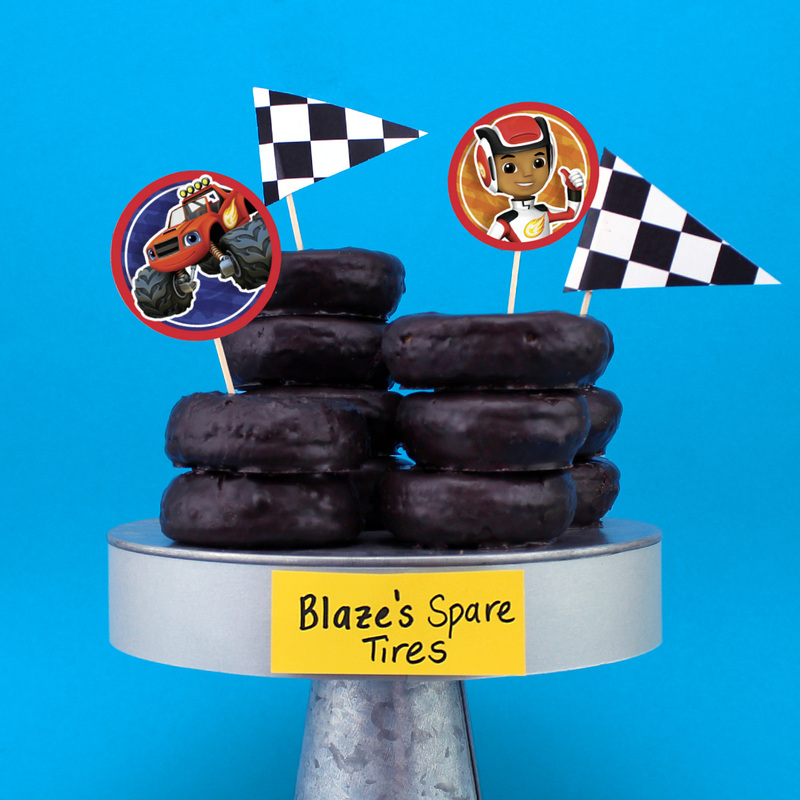 Store-bought chocolate donuts look just like spare tires. Optional: customize them using red icing for Blaze, blue for Crusher, green for Pickle, and purple for Starla! 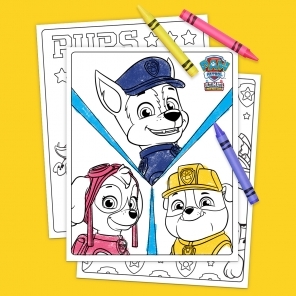 PAW Patrol Reporting for Duty! No party is too big, no grownup is too small! 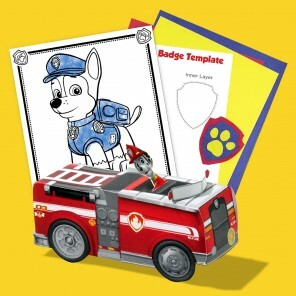 Assemble these healthy and playful PAW Patrol badges right before your little pup’s party. SpongeBob tried to go a day without Bikini Bottom water once and he only had one thing to say…I NEED IT!!! 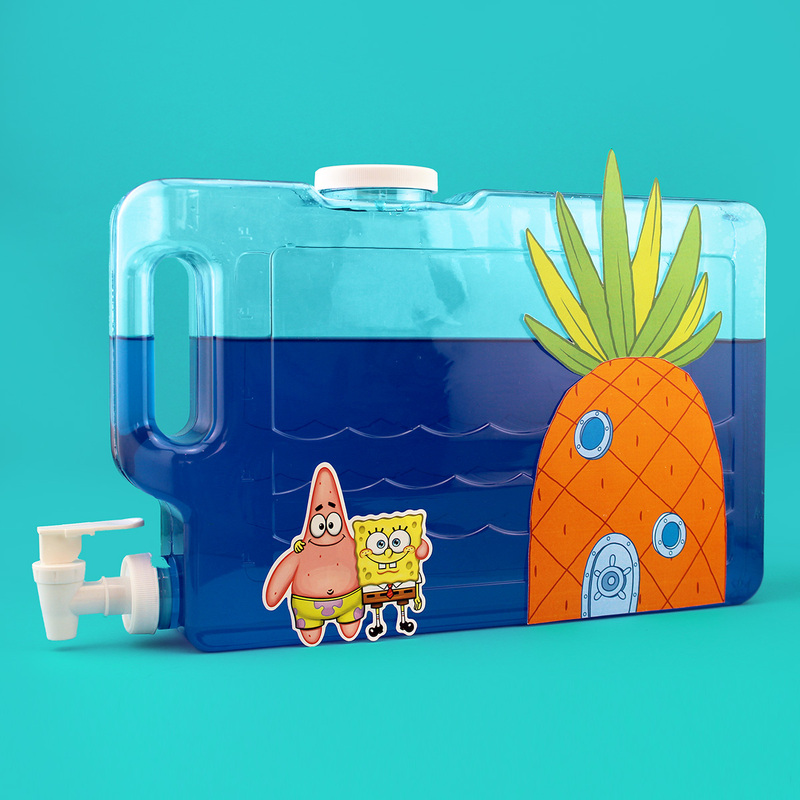 Make your very own Bikini Bottom beverage by serving any blue sports drink in a clear jug. You can even take your nautical party a step further and serve this drink up in a fish bowl! Spruce up your Wallykazam! 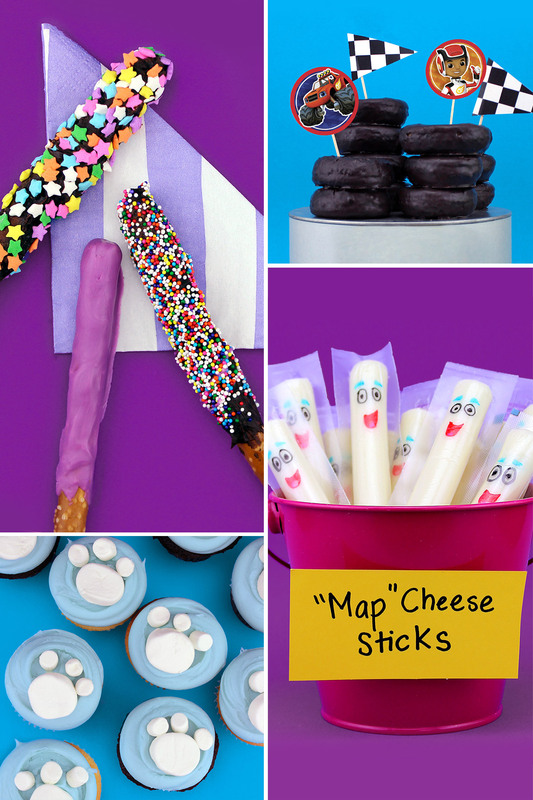 party spread with these cute magic sticks. 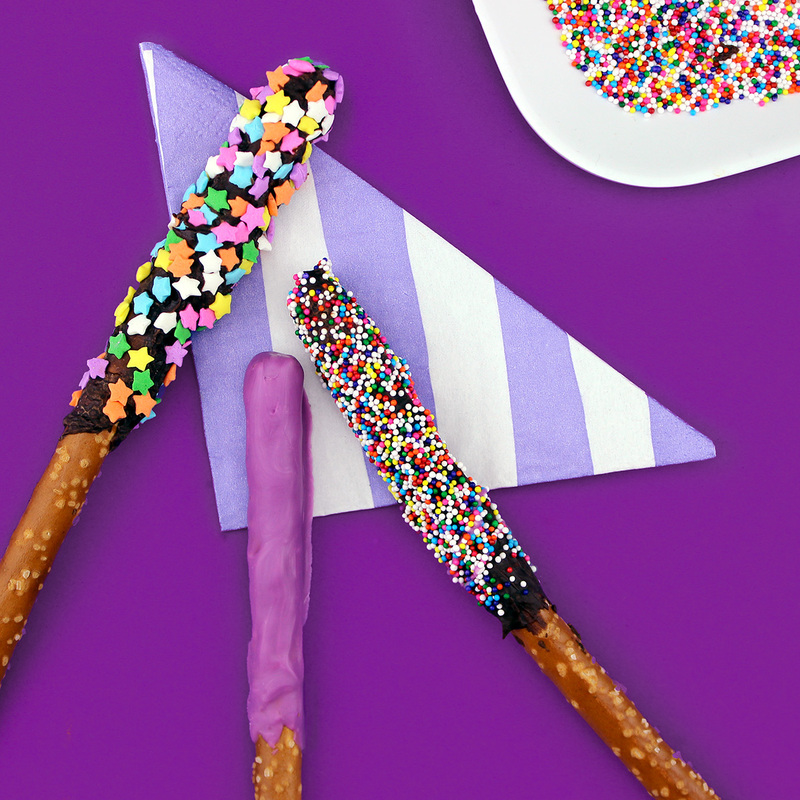 Dress up chocolate covered pretzels with anything from edible glitter to sprinkles and make your party come to life! 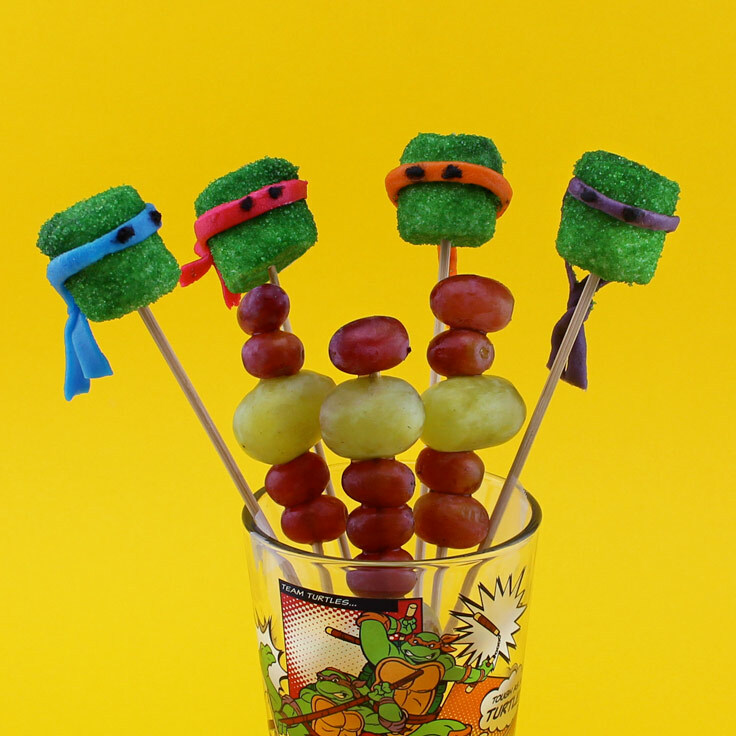 Don’t be led askew, this Teenage Mutant Ninja Turtle recipe is SO easy. Grab some skewers, marshmallows, fruit strips, and green sprinkles and you’ll be well on your way to making the perfect Turtle recipe. This healthy treat doubles as a decorative party piece! 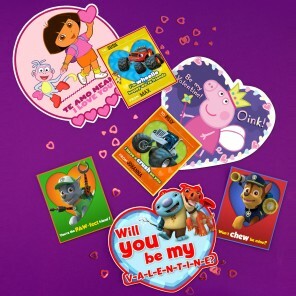 Set the Table with your Favorite Nick Jr. Friends! 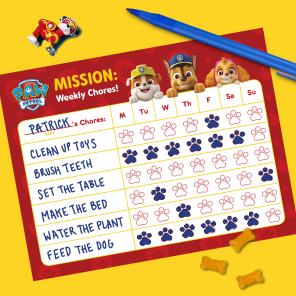 Placemats give kids the chance to be creative while they patiently await their food and cake. 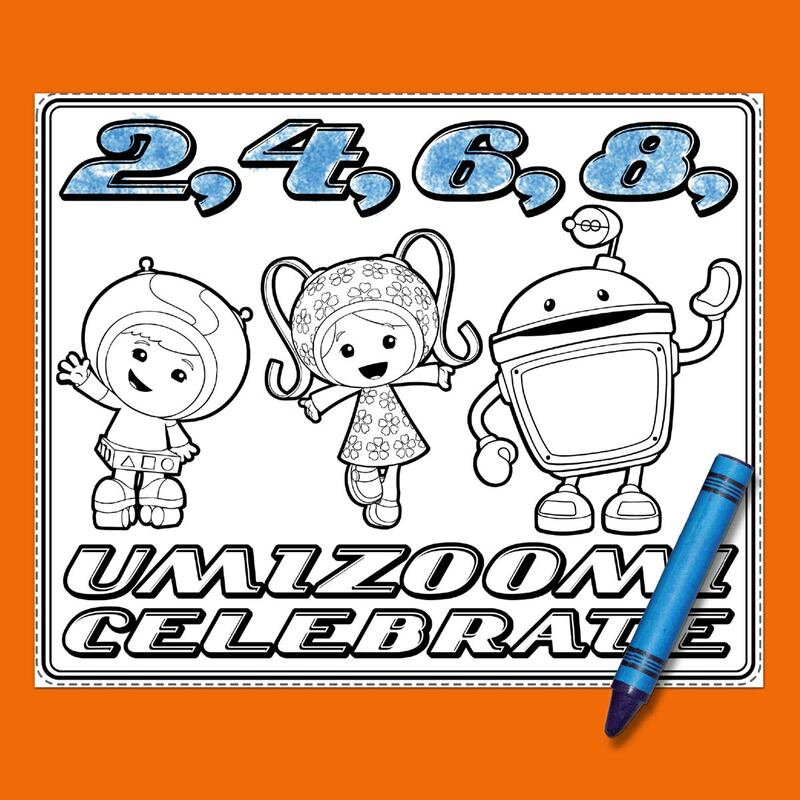 Color-able party placemats can easily dress up the table and even prevent big messes!